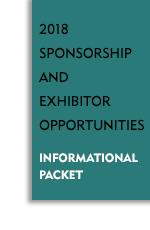 Exhibitor opportunities currently are available for the Minnesota CLE events listed below. Opportunities to exhibit at other Minnesota CLE events will be added as they become available. Please continue to check back! If you have any questions about sponsor or exhibitor opportunities, please contact Katie Ward, at 651-254-2133 or kward@minncle.org. Sponsor application deadline April 5, 2019. Sponsor application deadline February 11, 2019. "Exhibitor Only" applications are accepted through May 3, 2019. Sponsor application deadline May 10, 2019. Sponsor application deadline March 22, 2019. "Exhibitor Only" applications are accepted through May 10, 2019. Sponsor application deadline April 12, 2019. "Exhibitor Only" applications are accepted through July 1, 2019. Questions? Call Minnesota CLE at 651-227-8266 or 800-759-8840.